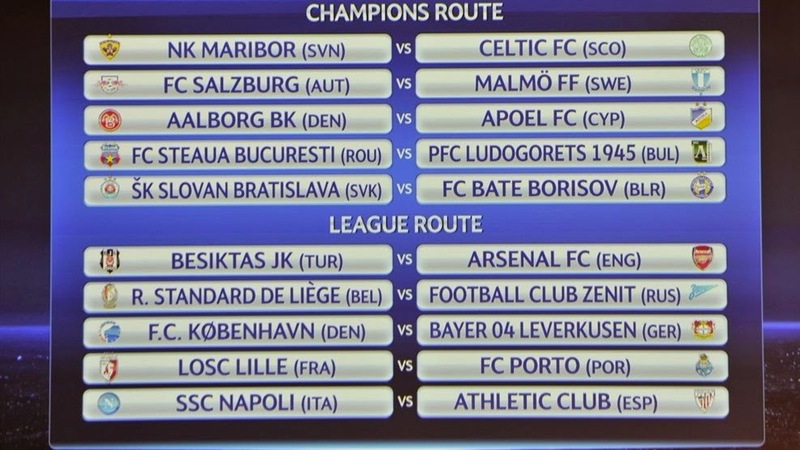 UEFA has announced the draw for the Champions League play-off round. The draw was conducted in Nyon, Switzerland, Friday (08/08/2014). A total of 20 eligible teams in these playoffs. They will fight on August 19 to 20 (first leg) and August 26 to 27 (second leg) to fight ration ticket to the group stage of the Champions League 2014/2015 season. In the playoffs, there are two games which bring together large teams of Europe. Arsenal, who represent England will face the Turkish giants Besiktas. While Napoli from Italy will clash with Athletic Bilbao, a team representing Spain.